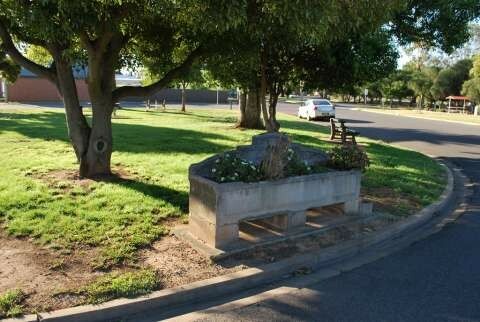 The public space at Stuart Mock Place in Tatura features three mural artworks and a fountain. 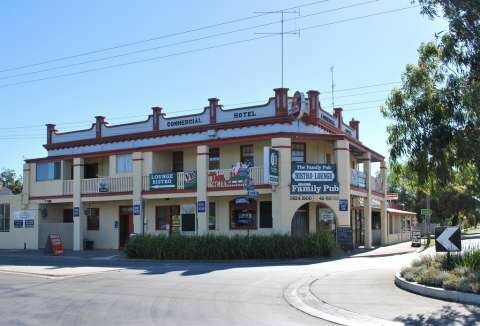 Often known as water wheel country, Tatura is home to Tatura Milk Industries, Snow Brand and the Department of Environment, Land, Water and Planning. 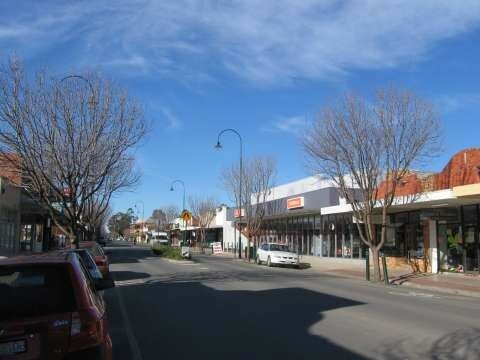 Tatura is steeped in history, with seven Prisoner of War Camps in operation around the district during World War II. The German War Cemetery and one of the most significant war time museums in Victoria are located in Tatura, depicting the cultural history through photographs, memorabilia, artefacts, intelligence reports and newspaper articles. Tatura also hosts many of Greater Shepparton's major events, from the well known food and wine festival, The Taste of Tatura in March, to International Dairy Week in January, the Tatura Cup in April and Italian Plate Day in December. Tatura Park, the events and exhibition centre, hosts International Dairy Week - the largest annual dairy cattle sale and show in the southern hemisphere. The event attracts and showcases the best of Australia's dairy breeds and draws over 6,000 exhibitors, vendors and onlookers from Australia and overseas to discuss the latest trends and innovations. Centrally located, Lake Bartlett offers visitors an art project with over 20 distinctively painted bollards from local artists, schools and community groups. These bollards represent community projects from the past, the present and the future. Just outside Tatura is one of the largest station homesteads built in Australia. Dhurringile Mansion built in 1877 for pastoralist James Winter, boasts 65 rooms and a colourful past. Today the Dhurringile Mansion is used as a minimum security prison but maintains its original beauty and wonder. Tatura is surrounded by a network of irrigation channels and fertile land with a growing number of farming industries including crops, fruit, vegetable cultivation, dairy, sheep and cattle. Cussen Park is a 33 hectare wetlands which hosts an array of wildlife, bird life and mammals. It provides educational opportunities and passive recreation with a number of bird hides, an observation deck and an abundance of indigenous plants and animals.